Essential tips for buying a motel. Have you ever visited a subpar motel and thought, “I could do this better”? If so, you might have considered buying your own motel and doing just that. With U.S. travel generating $1,036 billion dollars in 2017, it’s proven that travelers will always need a place to stay. Motels exist in practically every city, making motel ownership an exceptionally lucrative business. Still, not every motel is successful and there are several things to consider before you sign on the dotted line. Following these steps will make buying a motel a simpler and more lucrative investment. The decision to purchase a franchise or independent operation depends on your business priorities. A motel chain, like a Best Western or Holiday Inn, has the benefit of customer awareness, but also comes with a pre-existing market segment, design, and franchise fee. An independently owned motel gives you more control over the desired customer base and design but requires more investment in advertising. Get a guest’s perspective by staying at the motel yourself. It won’t take long to notice if the warm water doesn’t work, the beds are uncomfortable, or the service isn’t up to snuff. Be sure to stay before the owner knows you’re interested so you have a genuine experience. Stay at other competitive motels in the area to get a representative experience of what the competition has to offer your potential future guests. Use this learning opportunity to differentiate your business as the most hospitable in the area. Contact someone at the state or local level, like a city planner, to learn about possible changes to the surrounding area. Nearby construction or a new highway can lower the value of a property quickly. Staying up to date on the city’s future plans for the area around your motel can help ensure you’re not buying a property that’s on the market due to drastic forthcoming changes to its surroundings. Obtain the motel’s financial and occupancy records from the past three years. Ensure that the business is profitable and regularly popular among travelers. If possible, obtain the same information from competitive motels in the area for comparison. Check that the motel is currently in compliance with all state and federal regulations and review these with an accountant or an attorney for additional support. Before you start shopping around, it’s important to have secured financing. Most banks and credit unions understand the market value of motels and are willing to provide SBA loans if your credit score is healthy. However, it’s important to provide your lender with the financial statements you obtained to prove it’s a worthwhile investment. With the help of a broker, determine the price or “bid” you’re willing to pay for the property. Communicate the maximum amount you can afford with your broker and don’t be afraid to negotiate. A seller’s initial asking price is normally more than they expect to make. When you place your bid, include “subject to satisfactory inspection” and “contingent on financing” stipulations to guarantee you aren’t left in a difficult situation. Before making a serious offer on any motel property, always schedule a thorough professional inspection. There are several parts of the motel you won’t see as a guest and a professional will identify any important issues that could potentially turn into costly problems or liabilities. Afterwards, review the necessary costs to improve the property (if any) and discuss with your accountant if the motel is worth the investment. With proper thought and preparation, buying a motel can be a sound and profitable investment. 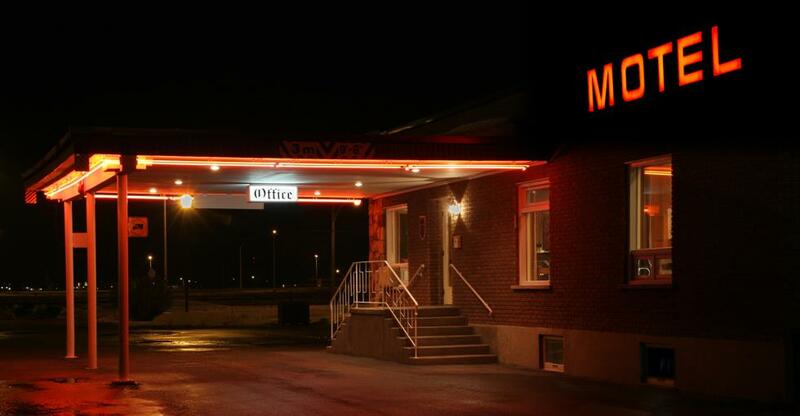 Visit BusinessesForSale.com for a complete list of motels for sale or contact us for more information.